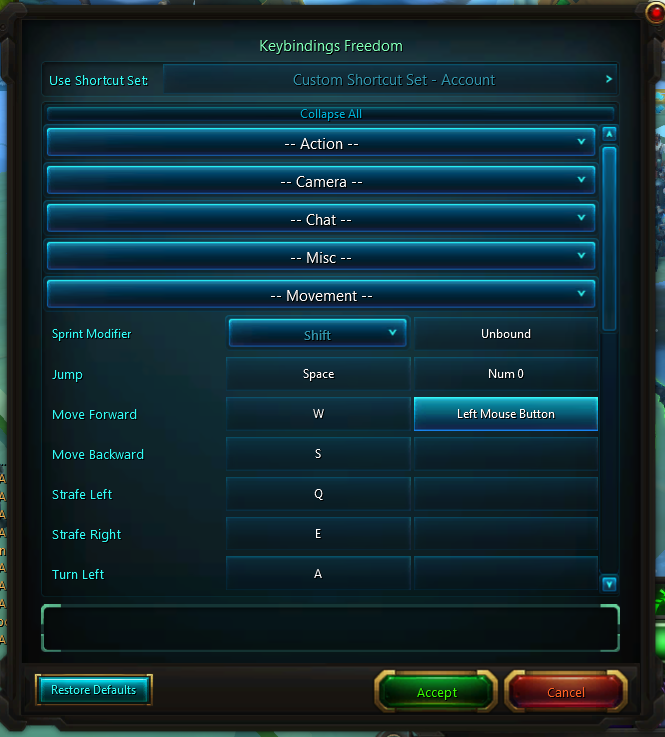 This is an identical clone replacement of the Carbine stock Keybindings, but disabled the restriction on binding the Left Mouse Button and Right Mouse Button. Bind whatever you want to LMB, RMB! Note! Carbine disallowed binding to LMB/RMB for a reason, but forgot to include this restriction in the GameLib.SetKeyBindings API. Don't be surprised if Carbine later patches the API to restrict this just like Keybindings does now.